We have checked a number of weather websites, all of which are suggesting that the rain forecast for later this morning is likely to turn into snow showers in the afternoon, probably between 5pm and 8pm. Although not necessarily heavy snowfall, the fact that it is scheduled for rush hour means that congestion will be heavier from around 4pm and is likely to last longer than usual. We will be gritting and salting all 4 Downsend sites to make them as safe as possible for pedestrians and drivers, although extra caution must be exercised at all times. For this reason, all of our 4 schools remain open as usual on Thursday 12 January, operating as normal a service as possible. 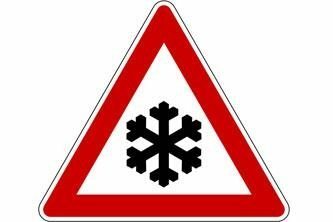 As always, conditions may well be highly localised and we urge parents and staff to use their own discretion when travelling. Tonight’s Year 8 Parents’ Evening will take place as usual. Early appointments may be affected by parents’ ability to get to Downsend on time due to congestion. Where possible, we will endeavour to fit any latecomers in later in the evening. However, for any parents who need to cancel this evening, we will try and reschedule into next week’s Year 8 Parents’ Evening. All 4 sites will be open on Friday 13 January, but we are expecting further snow during drop-off. Please check the website regularly for further updates.